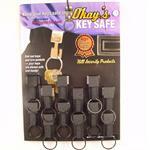 The Okays Key Pal is very secure key holder. 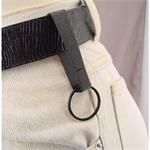 It is one of only a few belt key holders that can fit on the wider duty belts worn by police officers. 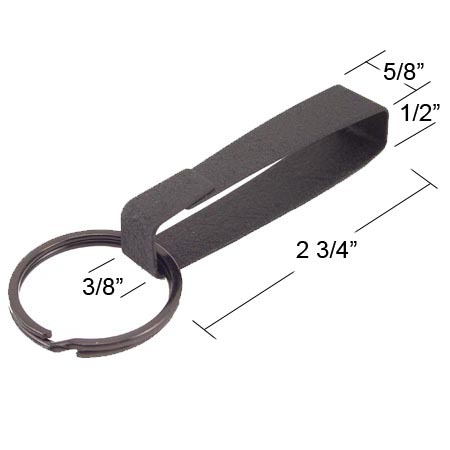 One piece construction, made in the USA of sturdy spring steel. 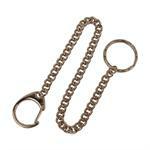 a) In the standard position (with the wider side at the top) the keyring is easy to remove. b) In the security position (with the narrow side at the top) the keyring is much harder to remove. 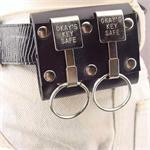 Perfect for prision guards. 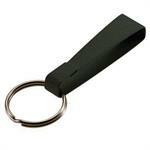 Black powder coated matte finish is durable and non reflective. 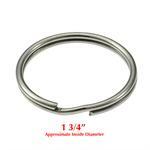 Overall Dimensions: 2 3/4'' Length x 5/8'' tapering down to 3/8'' Width. Will fit belt widths up to 2 1/2''. 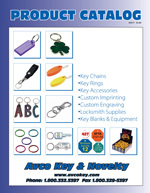 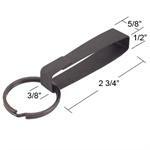 Includes a 1 1/8'' split key ring.